Last week crawled by like I was an eight year old waiting on the Christmas catalog from Sears and JC Penney’s. It was LSU game week and a night game, something we had hoped for all through October, but missed out on. Then Mother Nature threw us a curve ball. It would be a nice day, rather cold, so we had extra work in front of us. On Tuesday I bought the required amount of liquor. I did some comparison price shopping between Sam’s and Wal-Mart, and just about ruined my lunch on all of the samples. I think if one was down on his luck, it could be worth it to buy the Sam’s membership just to eat there daily at lunch time. I patiently waited until Wednesday afternoon to order chicken from Cane’s, as Popeye’s turned out to be more expensive for chicken. I was rolling into Wal-Mart by 9 a.m. Friday to grab the needed supplies. We only expected about 50 guests, but from experience I also knew we would have about 20% more people show up unexpected on such a long day of tailgating. We also had to plan for warm drinks. That means extra generators, extra alcohol for those drinks, and heaters with propane tanks. Not to mention that a night game means that a lot of folks, perhaps as much as 30% of your crowd, will expect to eat twice. Once around lunch, and then before game time. Thanks to the work of our members, and the help of many others, the tailgate went off pretty much without a hitch. My only failure was a rookie mistake. I failed to check one of our patio heaters beforehand. It had worked the last time it was used, but that was two seasons ago. Tried as we might, we could not get it lit. But with the side walls installed and the one operational heater, we did survive, only to see the Hogs fall short yet again. This week’s game does not look any more promising. The Hogs are 20-point underdogs to the Bulldogs of Starkvegas, but at least fair weather is forecasted. We have a rather small crew going over for the 11 a.m. kickoff. We cancelled our rooms in Columbus, as we just don’t want spend any more time or money on this team than absolutely necessary. Don’t get me wrong, we love the Hogs and want to support the team, but there is a point of diminishing returns. If you leave Little Rock by 5 a.m. on Saturday, you will pull into Starkville by 10 a.m., have enough time for a few drinks out in the parking lot before kickoff, and be back in Little Rock by 10 p.m. that night. You could even stop for dinner in either Memphis or Grenville on the way home and call it a great day. After all, if you have been reading this column long enough, the game is just the dessert. The trip, the time with friends, and the food stops are what make a football season. Now, if you are making the drive over on Friday, you have two options. The easy route through Memphis with all of the barbecue you can eat, or take the road less traveled through Greenville. Travelling through southeast Arkansas takes slightly longer, adding perhaps 30 minutes, but the food options make up for it. On the Arkansas side, get to Rhoda’s in Lake Village by 4 p.m. and grab some tamales. An even better option is to try and be in Greenville by 5 p.m, and stop at the original Does Steak House. I don’t think the tamales are as good as in Arkansas, but the shrimp and steak are amazing. Some other stops in Greenville along the Tamale Trail are Jim’s Café, Maria’s Tamales, and Scott’s Hot Tamales, all located in Greenville. Here’s a quick story on why the Delta is famous for tamales in the first place. During the war, a lot of labor was sent to fight, so migrant labor from California was enticed to move east to help with the cotton harvest. The migrants, of course, brought their native food and needed one which would travel well with them from home to the field for lunch. I’m guessing some of the local population was exposed to their tamales. As the migrants left after the war, the locals put their own spin on the dish, and you have now the Delta tamale. In my opinion, our local version far outweighs the original tamale you find in your local Mexican restaurant. Those go too heavy on Masa, the corn meal breading of a tamale. Now, on to Starkville. It is much easier to stay there and eat there now than it used to be. The stadium has undergone a lot of renovation and improvements over the past six years thanks to SEC TV money. It is now one of the better in-stadium experiences that you will find in the SEC. The fans are friendly and very welcoming. If you went 10 years ago and vowed never to return, you might rethink that. It is a different place now, worthy of a visit. In the good old days, the only good spot the locals would recommend was The Little Dooey, which is a good spot and serves solid barbecue, but gets so crowded on game days it was not worth a try. Some new spots to try now are Oby’s Cajun Dining, Bin 612 Pizza, Restaurant Tyler, and The Guestroom. 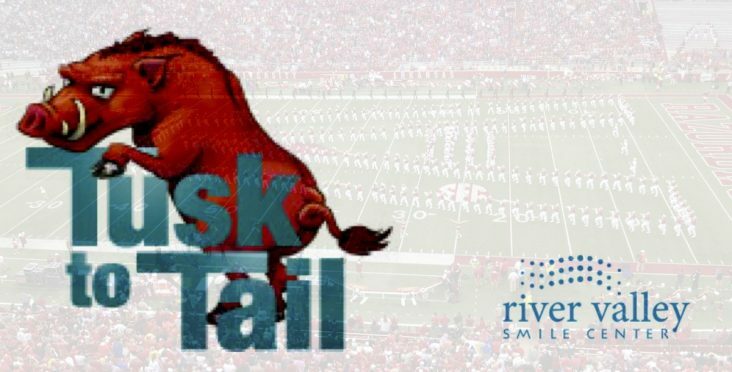 Enjoy the trip and Go Hogs, Beat Bulldogs!